November is upon on us! The bats are all packed up… bring on the turkeys. We had a few extra kids over the other day and I thought Thanksgiving art for the kids was just what the day called for. 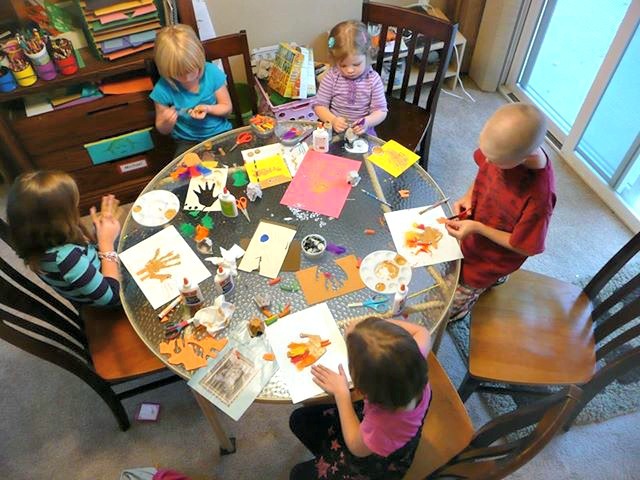 The house was full of busy chatter and our creative table quickly became the place to be! 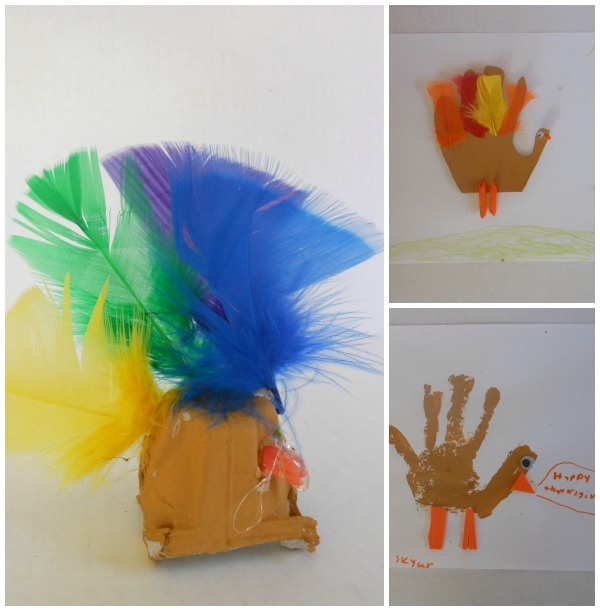 Turkeys were my plan and I was so excited to see what these creative kids would do with the Thanksgiving art materials I was providing. As I pulled out the supplies the kids immediately started grabbing. The only instruction I gave was to create something for Thanksgiving. I’m usually busy at the table… refilling supplies, chatting about the process and taking up close pics (for you guys of course). My Mom snapped this one. It’s such a great reminder that I need to step back once in a while and really see it from this view. They are all so intent. So involved in their work. It’s one of my favorite things to see! 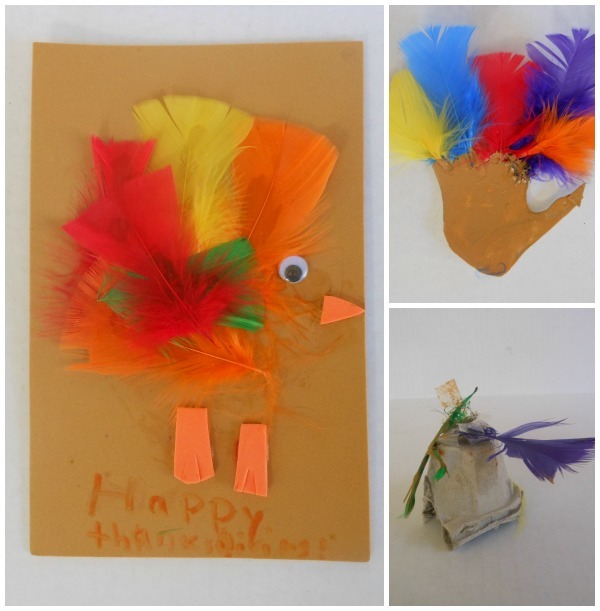 What materials have you supplied for Thanksgiving art? I encourage my kids to do a new hand-outline turkey every year and keep each one to display during the holidays. They get a kick out of seeing their progression over the years. Love the button tree, by the way.